A Tribe Called Quest knows a thing or two about art. 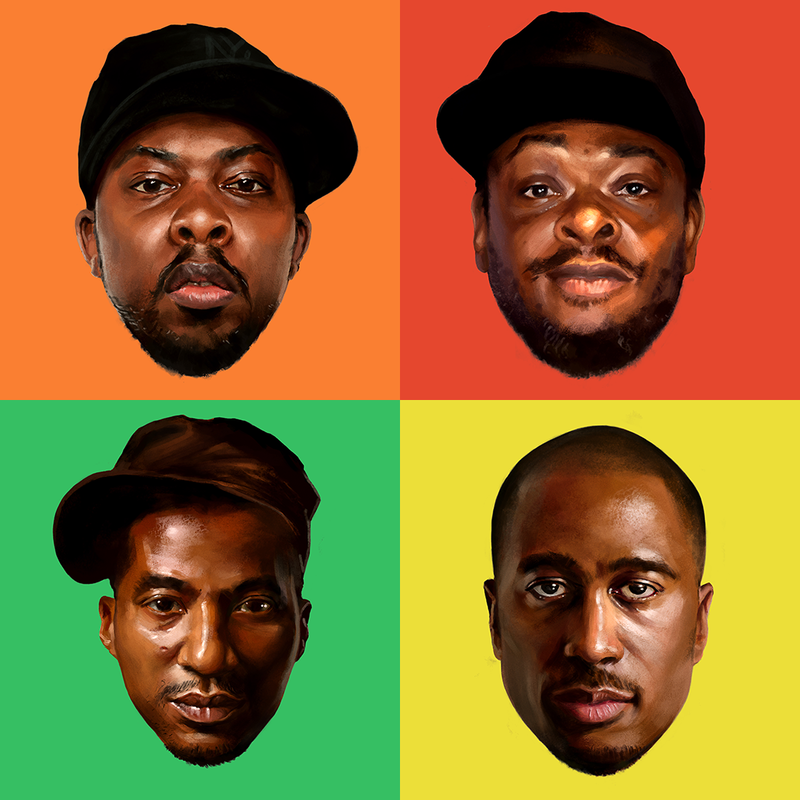 From their debut, People's Instinctive Travels and the Paths of Rhythm, to the iconic The Low End Theory, to their latest, We got it from Here... Thank You 4 Your service —and everywhere in between—hip-hop's legendary crew has always shown love to fine art, creating some of hip-hop's best covers of all time. They brought color to the craft, illuminating classic bars with jazz influence, matching them with memorable visuals, and brightening the world with bold personality. Their creativity knew, and still knows, no bounds. And let's face it, the overarching vibrant style of the '90s helped a bit, too. Drawing on the Universal Zulu Nation and Native Tongues' affinity for Afrocentric art, strong visuals have always been an integral part of the ATCQ experience. Now, thanks to their work and that of their brethren, artists around the world freely illustrate in shades of red, blue, and green in their honor. Paying homage to all things Tribe, and in memory of "The Five Footer," Phife Dawg, here's the best fan art of A Tribe Called Quest.